Theodora joined IFPRI –Abuja in June 2009 as a program assistant under the CIDA Agriculture Policy Support Facility and USAID -Global Food Security Response Program and was saddled with the responsibilities of planning, organizing and managing workshops, seminar and conference related meetings with stakeholders all over Nigeria. For the NAPP Projects she provides financial and administrative support in area of logistics, budgeting and coordination. Mulubrhan Amare is an Associate Research Fellow at IFPRI with the Nigeria Strategy Support Program (NSSP) in the Development Strategy and Governance Division. 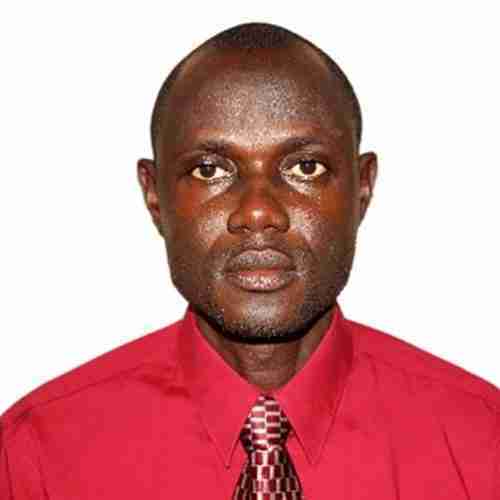 Prior to joining IFPRI, he was a Postdoc Research Fellow at the Partnership for Economic Policy, Nairobi, Kenya where he was involved in two main projects: Structural Transformation of African Agriculture and Rural Spaces (STAARS) and Productive Employment in the Segmented Markets of Fresh Produce (PRESM). Amare received his Ph.D. in Economics focus on development and agricultural economics, from Leibniz University of Hannover, Germany in 2015. His research broadly involves quantitative data analysis on impact evaluation, rural institutions, agricultural transformation, migration and rural poverty dynamics. His current research interest lies in drivers of child malnutrition, land and labor productivity, agricultural transformation, livelihood diversification and causes of welfare inequalities and poverty. Medinah is a mid-career Monitoring and Evaluation specialist with over four years’ experience in the agricultural development sector. Before joining IFPRI, she worked as a GIS Specialist and then a Monitoring and Evaluation Specialist on USAID-funded projects with the International Fertilizer Development Centre in Nigeria. 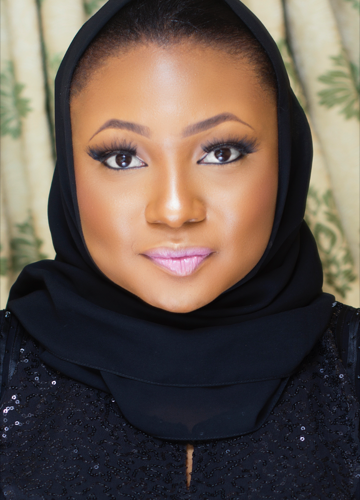 She obtained her bachelor’s degree in Geography from Ahmadu Bello University, Zaria in 2008. She also earned an MSc in Remote Sensing and GIS from same university in 2014. Amina holds a postgraduate Diploma in management from Bayero University Kano and a Bachelor’s degree in business administration from University of Maiduguri Nigeria. She joined IFPRI in July 2011 as a program Assistant with her main responsibilities involves organizing workshop and seminar logistics planning and collaborative research projects. Hobbies include sharing ideas and travelling. Dr. Maiyaki Damisa is professor of Agricultural Economics in the Department of Agricultural Economics and Rural Sociology, Ahmadu Bello University (ABU), Zaria, Nigeria. He is a member of the Feed the Future Nigeria Agricultural Policy Project and has actively participated in development projects that promoted farm household food security and poverty alleviation in Nigeria. His research focus is in the area of (i) gender issues in agriculture; (ii)agricultural production economics (crops and livestock), (iii) policy issues in agriculture; (iv) farm management economics. Maiyaki is currently the coordinator of Adopted Villages and Schools Programme (AVSP), an agricultural outreach programme initiated by the Institute for Agricultural Research (IAR), Ahmadu Bello University, Zaria towards the dissemination of its developed on shelf technologies to farmers and youth farm clubs in secondary schools in North-Western Nigeria. Elisabeth has a rich background working on projects in the private and non-voluntary sectors and more recently, in international development. Prior to joining the IFPRI family, Elisabeth was the Communications Focal Point for the International Organization for Migration (IOM) mission in Nigeria, where she also supported the advocacy and implementation of policies on migration for Nigeria and the ECOWAS community. She has also worked with the Africa Governance Initiative (AGI) and the German Agency for International Cooperation (GIZ). Elisabeth has three degrees in Mass Communication, the most recent being a postgraduate research degree from the University of Leicester in the United Kingdom. 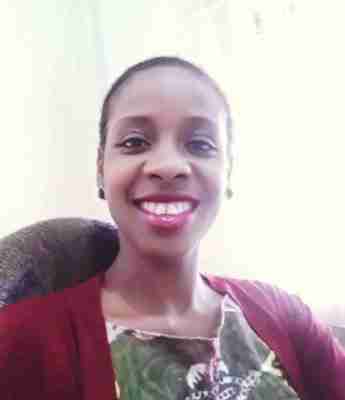 Hyacinth Onuorah Edeh is currently a Research Analyst under IFPRI’s Nigeria Strategy Support Program (NSSP). He joined IFPRI’s Nigeria Strategy Support Programme (NSSP) in 2011 as a Senior Research Assistant. Hyacinth received his Bachelor of Agriculture Degree in Agricultural Economics and Extension from Enugu State University of Science and Technology (2000), and his Master of Science Degree in Agricultural Economics from the University of Nigeria (2008). Previously, he worked as a part-time lecturer in the Economics Unit of the Pre-Degree School of the Ebonyi State University, Abakaliki, and as an Associate Research Fellow with the African Institute for Applied Economics (AIAE), Enugu. His research interests include those related to household welfare, food and nutrition security, agricultural productivity, climate change, land governance and management. Currently, his researches at IFPRI focuses on institutional capacity assessment, welfare effects of technology adoption, and farm productivity under private irrigation system. 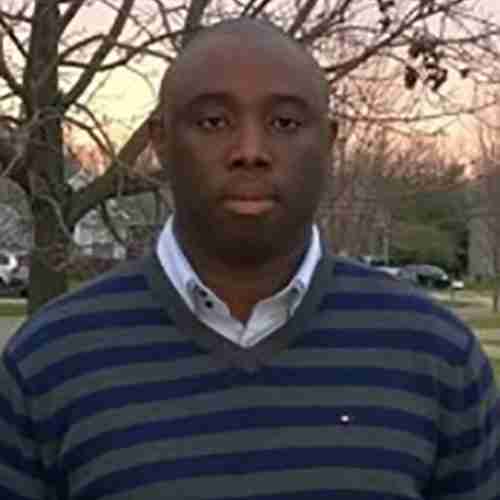 Epiyaigha Ekerebi is a Feed the Future Nigeria Agricultural Policy Project scholar who spent the Fall 2016 semester taking classes and doing research at MSU. Epiyaigha is a master’s student from the University of Ibadan currently rounding up her thesis on the effect of climate variables in agricultural yield and the difference in yield between male and female farmers in Nigeria. She has a B.A in agricultural economics and rural sociology from Niger Delta University. She is particularly interested in volunteering for programs that will enhance women development worldwide with focus on the education of the girl child and lower maternal death rates in sub Saharan Africa. She possibly hopes to be involved in advanced studies that will effectively close the gender gap and bring about gender equality in Nigeria. 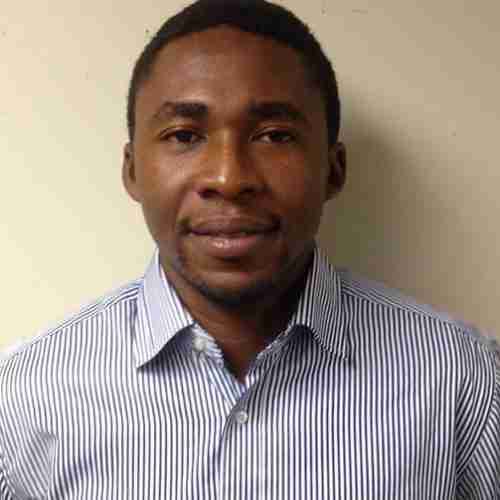 Olusegun Fadare joined the International Food Policy Research Institute (IFPRI) as a Senior Research Assistant in June 2014 to be part of the Nigeria Strategy Support Program (NSSP) team in Nigeria. He holds a master’s degree in Agricultural Economics from the University of Reading, UK. He has contributed to research topics on adoption of agricultural technology, maternal and child nutrition, youth employment in agriculture, land governance, and agricultural finance. However, he has developed more strength in food security, and nutrition research. Olusegun is committed to making a valuable contribution to IFPRI projects in Nigeria in the areas of evidence-based research, and capacity strengthening for researchers in public institutions. Dr. Hosaena Ghebru is currently research fellow at the International Food Policy Research Institute (IFPRI). 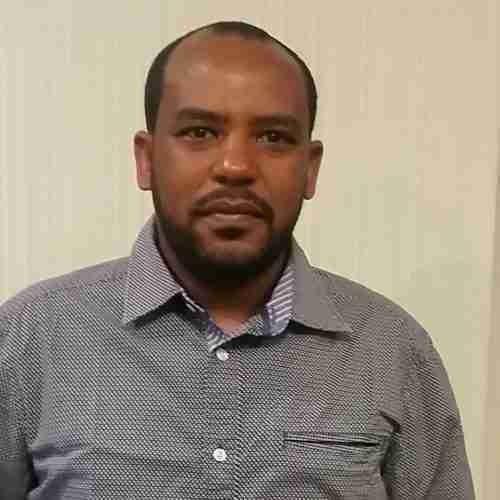 Dr. Ghebru’s research focuses on the economics of land tenure and governance reforms, the causes and consequences of land market participation on rural poverty and vulnerability, and the welfare and productivity impacts land tenure and governance reforms. His most recent duty includes leading an impact evaluation of a DFID-funded Systematic Land Tenure Regularization (SLTR) program in Nigeria using state-of-the-art methodology called “spatial regression discontinuity design – SRDD”. Between 2011-2014, Dr. Ghebru has also served as project manager of the global partnership for Land Governance Assessment Framework (LGAF) and is also is leading other IFPRI projects on impact evaluation of land tenure and governance reforms in Nigeria, Ethiopia, Mozambique, Ghana and Uganda. 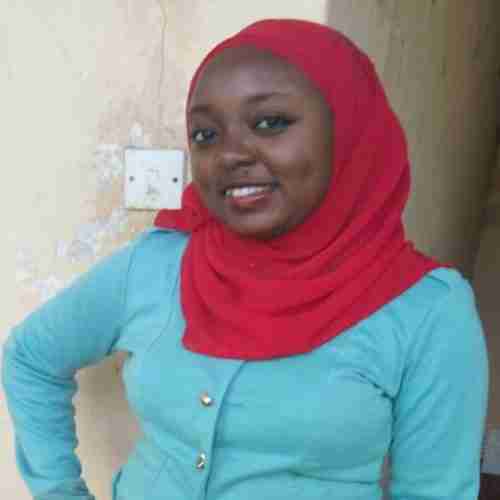 Aisha Lawal Ibrahim is a Feed the Future Nigeria Agricultural Policy Project scholar. 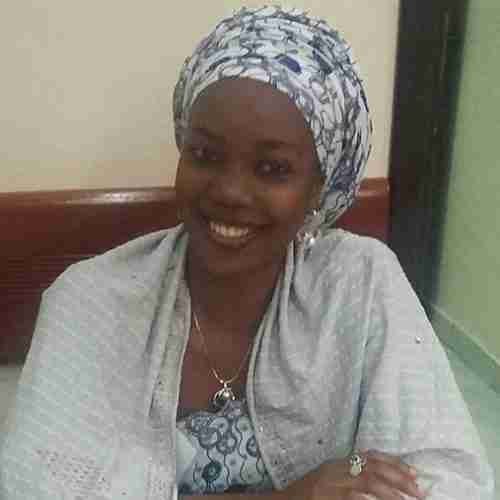 She is a Masters student from the department of Agricultural Economics and Rural Sociology of Ahmadu Bello University Zaria. Her current research focus is on Agglomeration Economies and Gender diversified labor productivity in rice processing. This includes the dynamics and potential for agro-industrial clusters to thrive in Nigeria. She is currently a visiting scholar at Michigan State University under the Feed the Future Nigeria Agricultural Policy Project. She will spend the Spring 2017 semester taking classes and doing research at MSU. Her broad research interest includes Economic Growth and Sustainable development, Agricultural Productivity and Food Security. Dr. Saweda Onipede Liverpool-Tasie joined the Department of Agricultural, Food, and Resource Economics at Michigan State University in 2012. Her research focuses on emergent issues related to small-holder productivity and welfare within dynamic and transforming food markets in sub Saharan Africa and alongside poorly functioning markets in the region. In addition to evaluating the heterogeneous effect of poverty reduction strategies on rural household behavior and livelihood, she has a keen interest in understanding input use and input markets as well as evaluating input policies. Her research work covers Nigeria, Ethiopia, Gambia, Niger, Malawi, Tanzania and Zambia. She was a Norman Borlaug Fellow in 2007 and has a PhD in Agricultural Economics from the University of Illinois, Urbana-Champaign. Her first degree is in Economics from the University of Jos, Nigeria. Prior to coming to MSU, she was a post-doctoral fellow at the International Food Policy Research Institute (IFPRI). She is currently an associate editor of Agricultural Economics; the Flagship journal of the International Association of Agricultural economists and the Chair elect of the Africa Section of the Applied Economics Association (AAEA). Dr. Liverpool-Tasie is a 2016 recipient of the Michigan State University John K. Hudzik Emerging Leader in Advancing International Studies and Programs Award and the Lead Principal Investigator of the Feed the Future Nigeria Agriculture Policy project. Steve Longabaugh is a specialist and joined the department of Agricultural, Food, and Resource Economics at Michigan State University with 12 years of in-country experience in West Africa (Liberia and Guinea). He supports a number of Food Security Group projects in Africa and Asia with project management and administration. Steve is part of the management team for the Feed the Future Nigeria Agricultural Policy Project. Dr. George Mavrotas is a leading development economist with about 30 years of experience in international development. 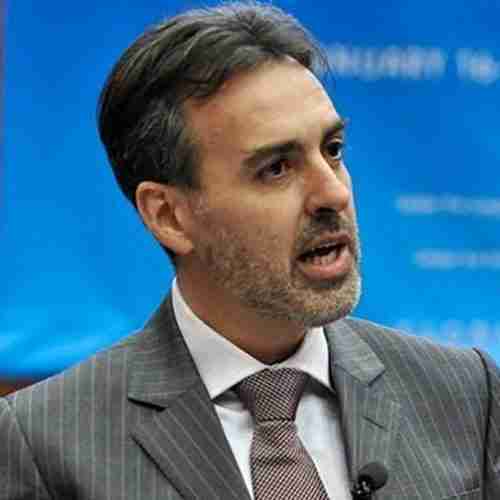 He is a renowned scholar and expert in the overall nexus between macroeconomics and development finance, including the macroeconomics of foreign aid effectiveness and domestic resource mobilization, financial sector development and poverty reduction. Other research interests include agricultural policies, poverty and agricultural transformation, youth employment and the agricultural sector, primary commodity markets and natural resources, human capital development (with an emphasis on the economics of education & training) as well as international migration and urbanization and development. He is currently a Senior Research Fellow with the Development Strategy and Governance Division of the International Food Policy Research Institute in Washington DC and the Program Leader of the Nigeria Strategy Support Program in the IFPRI Abuja Office where he directs IFPRI’s research and capacity building program in Nigeria. 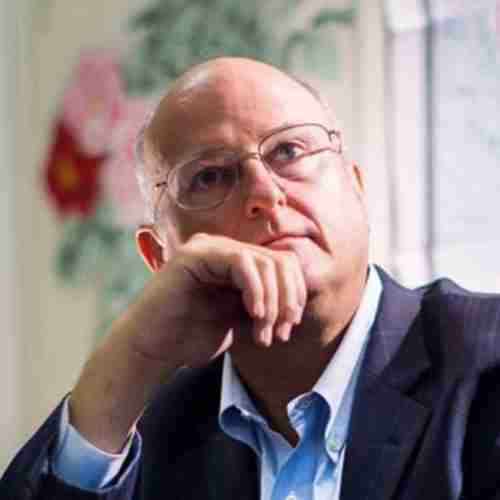 Other current honorary appointments include Visiting Professor at the Institute of Development Policy and Management, University of Antwerp, Belgium, and Senior Fellow at the Foundation for International Development Study and Research (Ferdi, France). Previous appointments include Chief Economist of the Global Development Network (GDN) and Senior Fellow and Project Director at the World Institute for Development Economics Research of the United Nations University (UNU-WIDER), and prior to that on the Economics Faculties of the Universities of Oxford and Manchester where he taught for many years having also supervised 12 PhD theses and 37 Master’s dissertations on a broad range of development topics. He also taught at the Universities of Helsinki (Finland), CERDI-Auvergne (Clermont-Ferrand, France), Antwerp (Belgium) and Peking University (China). He has an extensive developing country experience (particularly in Africa and Asia) and very substantial experience as an advisor to various international organizations, donor and government agencies, and the broad policymaking community, and extensive exposure to high level policy debates in international development. He has also been a member of various international committees of leading experts in international development. Dr. Mavrotas is widely published in a broad range of research areas in international development and he is the author and co-author of more than 120 publications, including numerous papers in peer-reviewed leading journals and 9 books. Books include Security and Development (Edward Elgar, 2011 – with contributions by leading scholars including Nobel Laureate Michael Spence); Foreign Aid for Development: Issues, Challenges and the New Agenda (Oxford University Press, 2010 – endorsements for this book are available here); Commodities, Governance and Economic Development under Globalization (Palgrave Macmillan, 2010; with M. Nissanke); Development Aid: A Fresh Look (Palgrave Macmillan, 2009; with M. McGillivray); Domestic Resource Mobilization and Financial Development (Palgrave Macmillan, 2008); Financial Development, Institutions, Growth and Poverty Reduction (Palgrave Macmillan, 2008; with B. Guha-Khasnobis); Development Finance in the Global Economy: The Road Ahead (Palgrave Macmillan, 2008; with T. Addison); Advancing Development: Core Themes in Global Economics (Palgrave Macmillan, 2007; with A. F. Shorrocks – both in hardback and paperback, a bestseller in Palgrave Macmillan – with a Foreword by Nobel Laureate Amartya Sen); and Commodity Supply Management by Producing Countries (Oxford University Press, 1997; with A. Maizels and R. Bacon). George holds a D.Phil. (PhD) in Economics from Oxford, an MSc in Development Economics (with distinction) also from Oxford University, an MA in Economics and Econometrics from the University of London and a BSc in Economics from the Athens University in Economics. 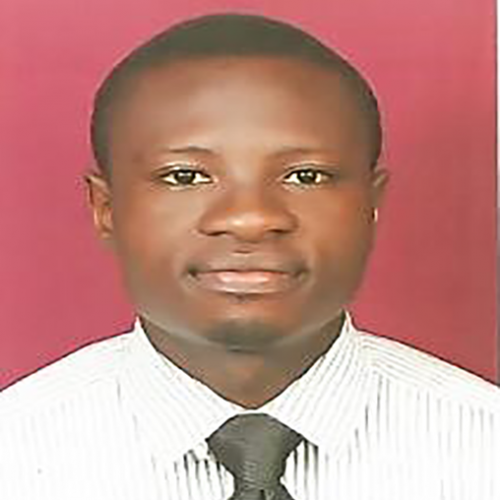 Wale Ogunleye is a Feed the Future Nigeria Agricultural Policy Project scholar. He is currently a PhD student at the Department of Agricultural Economics, University of Ibadan, Nigeria. 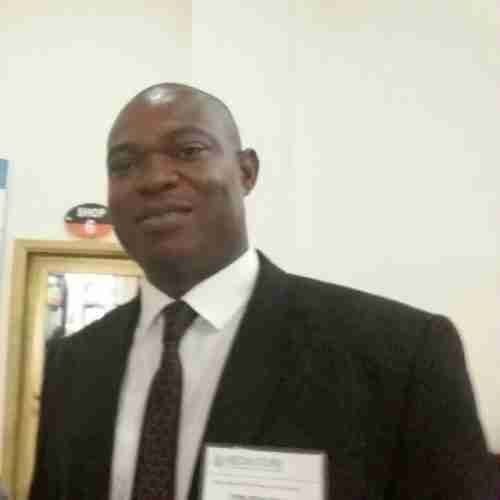 He concluded his first degree in the Department of Agricultural Economics and Extension, Ladoke Akintola University of Technology in year 2009 and proceeded to do his MSc.in Agricultural Economics at the University of Ibadan which he concluded in 2014 and he is currently enrolled on a Ph.D. program in the same department. He has worked on topics relating to poverty, market participation, and smallholder farmers productivity. He is spending a year at Michigan State University, where he is working in conjunction with other scholars at MSU and Ibadan on the poultry value chain in Nigeria. In addition, Wale has field experiences ranging from coordination of survey in both health and agriculture sector, to conduct of field days and impact evaluation for some intervention programs. Ogunniyi Adebayo is a Research Analyst for the International Food Policy Research Institute’s Nigeria Strategy Support Program (IFPRI-NSSP). He holds a M.Sc. in Agricultural Economics from University of Ibadan, Nigeria. He had his Bachelors Degree in Agricultural Economics and Farm Management from the Federal University of Agriculture, Abeokuta, Nigeria. His research interests are food security and nutrition, poverty reduction, technology adoption and innovation dynamics, social protection, spatial economics, impact assessment, rural development and agribusiness management. 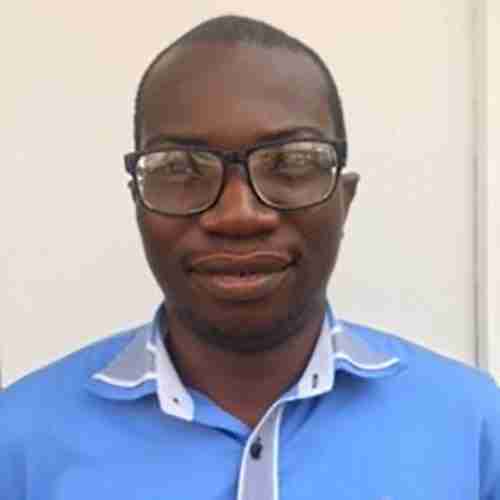 Prior to joining the IFPRI team, Adebayo worked as Research Associate for the Humidtropics Program (West Africa Flagship) at the International Institute of Tropical Agriculture, Ibadan, Nigeria. Dr. Schmitt Olabisi is a participatory modeler exploring the sustainability of complex systems with human and environmental components. 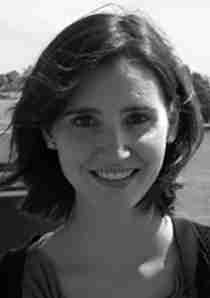 She works directly with stakeholders, using participatory model-building techniques to foster adaptive learning about the dynamics of coupled human-natural systems, and to integrate stakeholder knowledge with academic knowledge. 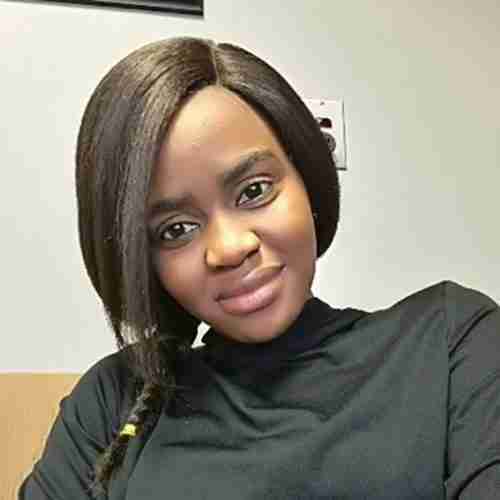 Schmitt Olabisi works predominantly with agricultural, food and energy systems, but the modeling tools she uses may be applied in a wide range of contexts. Her past and present research has addressed soil erosion, population growth, greenhouse gas emissions, water sustainability, energy use, deforestation, adoption of organic and sustainable agricultural technologies, climate change, human migration, and human health. Currently, she is working in West Africa on climate change adaptation, food security, and development projects funded by NSF and USAID; and in Detroit and Flint, Michigan, on food security and urban agriculture systems. She is also involved in an NSF-funded workshop series at the Socio-Environmental Synthesis Center on participatory modeling. 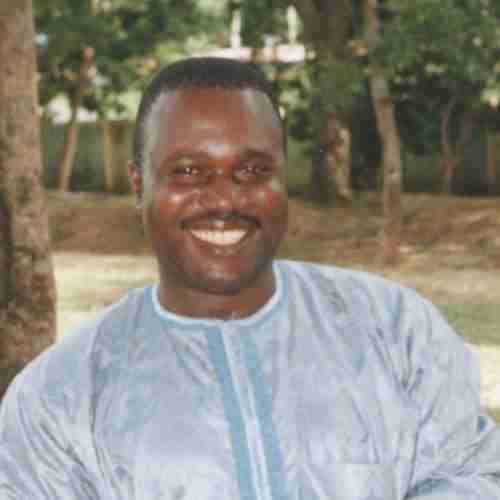 Dr. Schmitt Olabisi holds a doctoral degree in Systems Ecology from the State University of New York College of Environmental Science and Forestry, and a B.Sc. in Environmental Science from Brown University. During her 2016-17 sabbatical at RAND as a visiting scholar, she is working with Dr. Rob Lempert on stakeholder engagement and decision-making under uncertainty in environmental contexts. 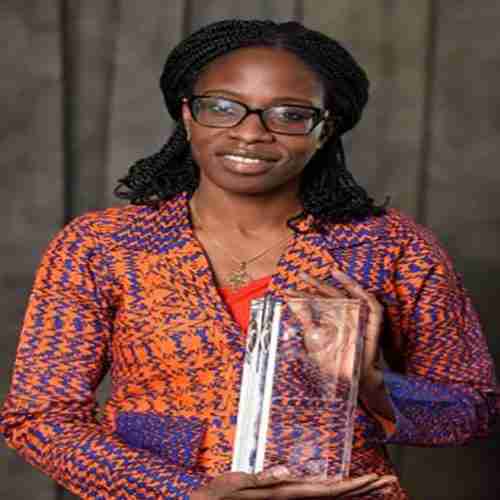 Dr Oluwafunmiso Adeola Olajide is an award-winning Agricultural Economist who has contributed significant knowledge to agricultural development in Africa and Europe through quality research in social and economic issues of concern in these areas. As a leader in the area of socio economic policy research, she provides far reaching policy prescriptions for national and international development. A DAAD (German Academic Exchange Service) scholar, she received her Doctorate degree from the University of Hohenheim, Stuttgart, Germany, and holds her Master’s and Bachelor’s in Agricultural Economics from University of Ibadan. 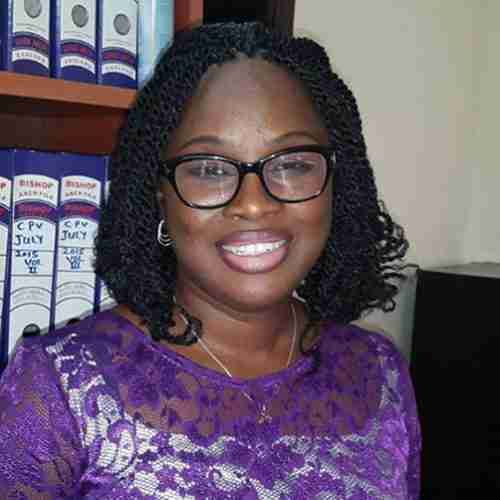 She is a member of the Africa Association of Agricultural Economists and its Nigerian counterpart Nigerian Association of Agricultural Economist; and a lecturer at the University of Ibadan. She is also a visiting researcher at the University of Hohenheim’s Institute of Agricultural Economics and Social Sciences in the Tropics and Sub-Tropics, Stuttgart, Germany. She is a member of the Climate Change research team under the Feed the Future Nigeria Agricultural Policy Project. Dr. Bolarin T. Omonona is a professor in the Department of Agricultural Economics, University of Ibadan, Nigeria actively involved in research, development work and training/capacity building. He is a member of the poultry value chain research team under the Feed the Future Nigeria Agricultural Policy Project. He has been preoccupied with how the welfare of small farmers can be improved with his focus on poverty and vulnerability, inequality, food insecurity, resource-use efficiency and productivity in agricultural production and lately on livelihood diversification and input use decisions of farmers. As a development worker, he has been actively involved in monitoring and evaluation of a World Bank’s agricultural development project in Nigeria. Finally, he is also involved in training of farmers on core agribusiness an management practices as well as training development workers on monitoring and evaluation issues. Bisola Oyediran joined IFPRI-NSSP as a Communications Assistant in 2015. 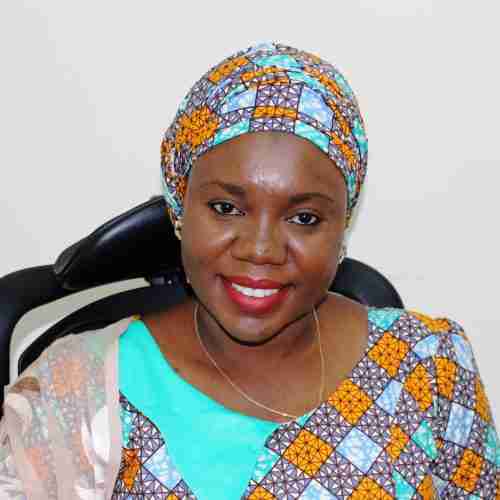 She has a B.Sc in International Studies from the Ahmadu Bello University Zaria, Kaduna State and a Master’s degree in Conflict Security and Development from the Nigerian Defence Academy, Kaduna. She was the Deputy High Commissioner for the African Society of International Studies (ASIS) as well as a founding member of the Model United Nations ABU Chapter. Bisola loves meeting and interacting with people. Motunrayo Oyeyemi joined the International Food Policy Research Institute (IFPRI) as a Senior Research Assistant in the Development Strategy and Governance Division in 2014. She has a bachelor’s degree in Agricultural Economics and Extension from the Federal University of Technology Akure, Nigeria and a Master’s degree in Agriculture from the Nelson Mandela Metropolitan University, South Africa. As part of the Nigeria Strategy Support Program (NSSP) team she has contributed in research on Nutrition and food security. Other research interests and involvement have been in agricultural extension, youth employment and macro-economic welfare. 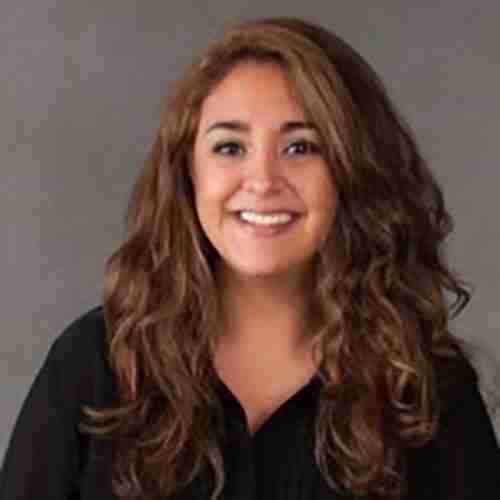 Samantha Padilla is a PhD Student in the Department of Agriculture, Food and Resource Economics at Michigan State University. As an undergraduate student and McNair Scholar, Samantha was part of the Summer Research Opportunity Program (SROP) at Michigan State where she developed an interest in agricultural economics. Samantha is a member of the poultry value chain research team and her research interests are in the areas of development economics and agribusiness management. In particular, she is interested in understanding the behavior of agents along different nodes of value chain within developing countries, the institutional framework of firms, and consumer behavior and responsiveness to changes in price and choices. Currently, her country of interest is Nigeria, but would like to conduct research in Latin American countries in the future. She has a B.A. in Economics and minor in Mathematics from St. Mary’s University in San Antonio, Texas. 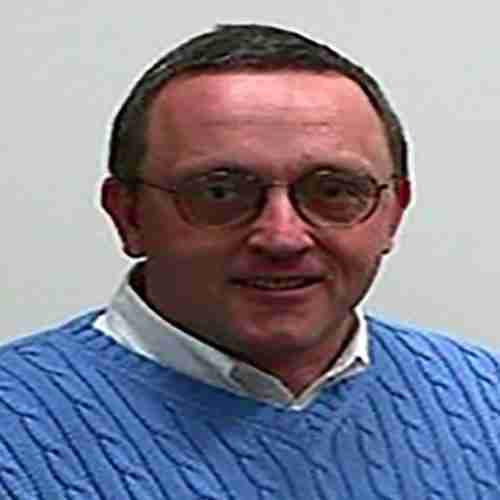 Dr. Thomas Reardon is Professor of Agricultural, Food, and Resource Economics at Michigan State University since 1992. He served the International Food Policy Research Institute (IFPRI) for a decade before, since his Ph.D. from UC Berkeley in 1984. Tom is prominent in research on: (1) urbanization; (2) diet transformation; (3) transformation of agrifood value chains, including the “supermarket revolution” and the “Quiet Revolution” in the proliferation of SMEs in the midstream of supply chains; (4) impacts of and opportunities from food system change for farmers. Tom has 13 years of experience in Africa, 13 in Asia, and 10 in Latin America. He is in Who’s Who in Economics, is in top 2.3% of 50,000 economists worldwide registered by IDEAS/REPEC, is Fellow of the Agricultural & Applied Economics Association (AAEA), has 22,000 citations in Google Scholar. He was a personal invitee by World Economic Forum to Davos, had his work featured on the front page of New York Times, and wrote the Chicago Council for Global Affairs 2016 report, “Growing Food for Growing Cities: Transforming food systems in an urbanizing world.” Tom has been a featured speaker at agribusiness and food industry events worldwide, such as for the Produce Marketing Association. 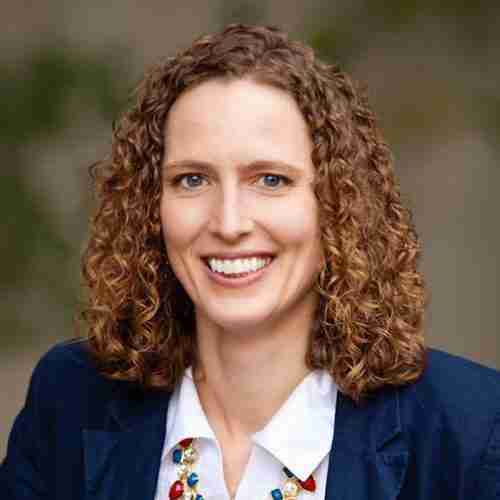 Dr. Danielle Resnick currently is a political scientist and Senior Research Fellow within the Development Strategies and Governance Division (DSGD) of the International Food Policy Research Institute (IFPRI). Between 2010 and 2013, she was a Research Fellow at the United Nations University-World Institute for Development Economics Research (UNU-WIDER). She focuses on the political economy of development, including the impacts of public sector reforms on accountability and efficiency, drivers of agricultural policy volatility and reform, urban governance structures and their influence on service delivery, democratization and political participation, and foreign aid effectiveness. Among other publications, she is the author of Urban poverty and party populism in African democracies (Cambridge University Press), co-editor of Democratic trajectories in Africa: Unravelling the impact of foreign aid (Oxford University Press), and co-editor of African youth and the persistence of marginalization: Employment, politics, and prospects for change (Routledge). 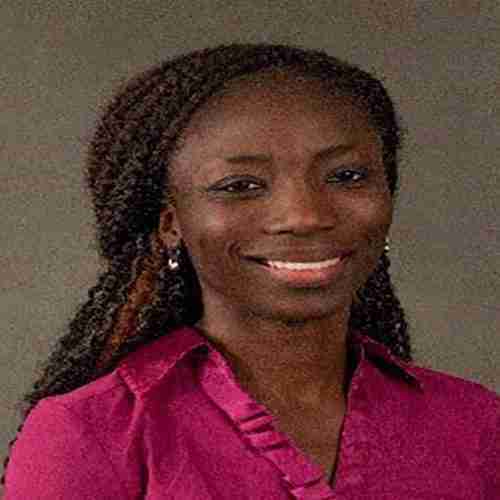 Awa Sanou is a PhD Student and Graduate Research Assistant in the College of Agriculture and Natural Resources at Michigan State University. Her research interests range from understanding smallholder farmers’ behavior to testing mechanisms which can nudge them to engage in productive agriculture along the value chain. She is also interested in exploring risk management strategies as well as adaptive technologies and institutions capable to build resilient rural farming communities exposed to climate and price shocks. She has a B.A. in Economics and Political Science from Middlebury College and a Master’s in Agricultural, Food and Resource Economics from Michigan State University. Awa Sanou works closely with members of the poultry value chain and climate change research team and works very closely with the Feed the Future Nigeria Agricultural Policy Project scholars (before and while they are at MSU as necessary) to provide technical support on data aggregation and analysis. Hiroyuki Takeshima joined IFPRI in January 2009 as a postdoctoral fellow of IFPRI Nigeria office, and joined IFPRI Washington office as a research fellow in 2012. Hiroyuki has conducted research on market participation, transaction costs, agricultural technology adoption, biodiversity in Asia and sub-Saharan Africa. His recent research also focuses on the linkages between market and climatic risks and farmers’ investment, roles of modern production technologies such as irrigation, mechanization, and fertilizer on agricultural transformation. His current research under NAPP project focuses on irrigation and seed sector issues. 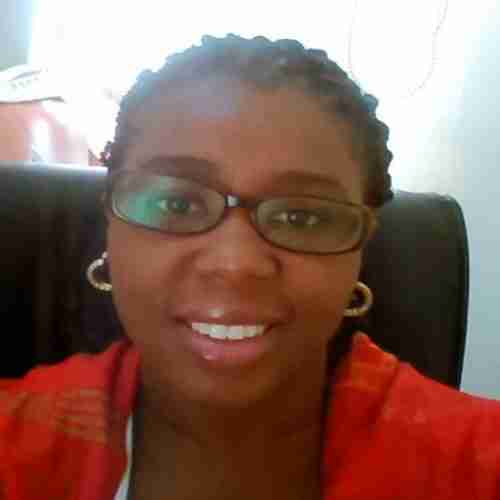 Dr. Oyinkan Chukuka Tasie joined the Department of Agricultural, Food, and Resource Economics in October 2014. At AFRE, Oyinkan is primarily associated with the Food Security Group and he advises on legal dimensions of policy and institutional arrangements for its implementation. His current work includes the legal dimensions of land and input policies in West Africa and he is currently working in Nigeria, Ghana, Mali and The Gambia. Dr. Tasie obtained his PhD in Law from the University of Aberdeen, Scotland, United Kingdom. For his doctoral study, he was funded by the Petroleum Technology Development Fund (PTDF) administered by the Federal Government of Nigeria. His doctoral research examined Nigeria’s primary legislation and policy relevant to electricity and its ability to enhance the use of renewables to expand access and thereby deliver sustainable development. 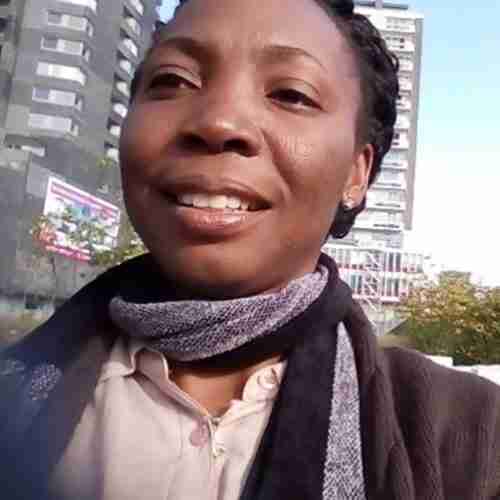 Prior to joining AFRE, Oyinkan was an Associate and subsequently a Fellow of the Centre for Sustainable International Development (CSID) at the University of Aberdeen. As an Associate of the CSID, Oyinkan convened the CSID Research Group on Nigeria, aimed at strengthening research linkages between the University of Aberdeen and tertiary institutions in Nigeria. He has also been involved in community development and youth engagement at the grassroots in Nigeria.